While Laura Stanley Personal Jeweler is committed to bring you the finest quality jewelry at fair and affordable prices, you may find that it's a better option to pay for a significant purchase with special financing. Learn more by clicking on the banner below. 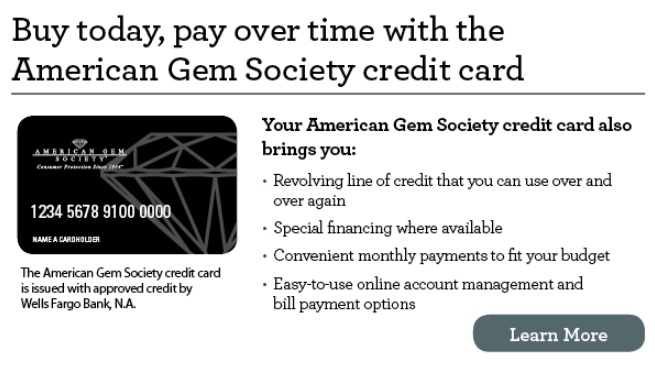 Already have an American Gem Society® Credit Card*? Pay your bill here.